We have now introduced a way to link tickets to one or more feedback items. This is useful for scenarios where a customer submits a ticket that you want to turn into a feature request. 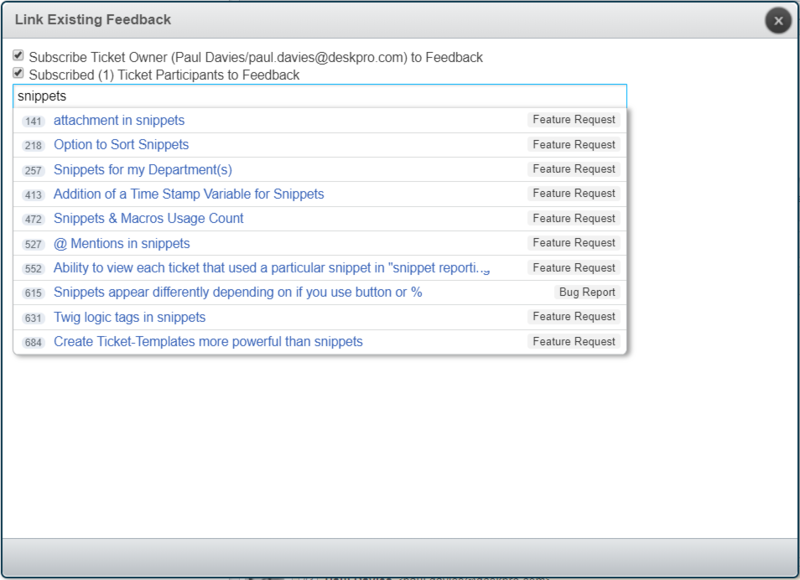 Link tickets to feedback items, and display the link in both ticket and feedback views so agents have full visibility. 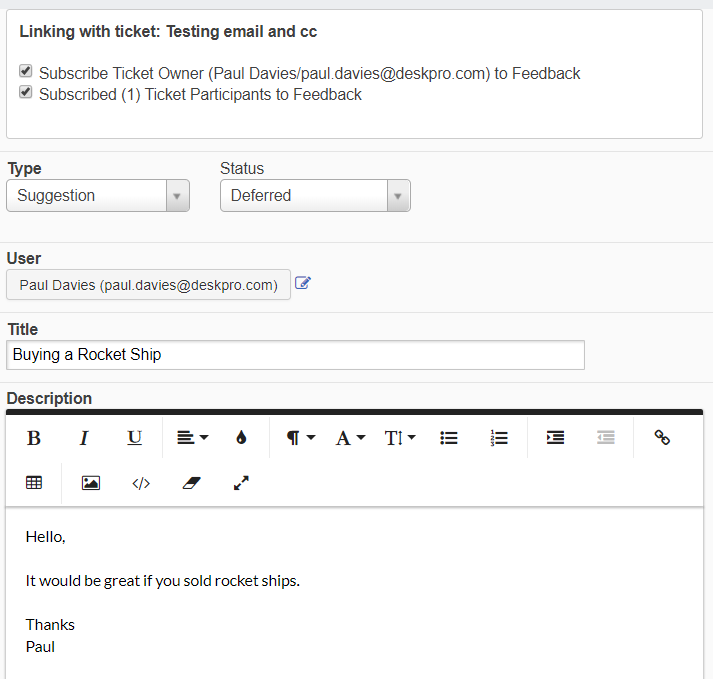 Tickets can be linked to multiple feedback items, and feedback can be linked to multiple tickets. Search for tickets linked to a particular feedback item, or search for tickets "with a link" to any existing feedback. To link to feedback from a ticket, the "Link Existing Feedback" and "Create Linked Feedback" options are available from the Actions menu. How can I start using the new feature? We look forward to receiving your feedback about the new article editor, and wish you all the best in the meantime.